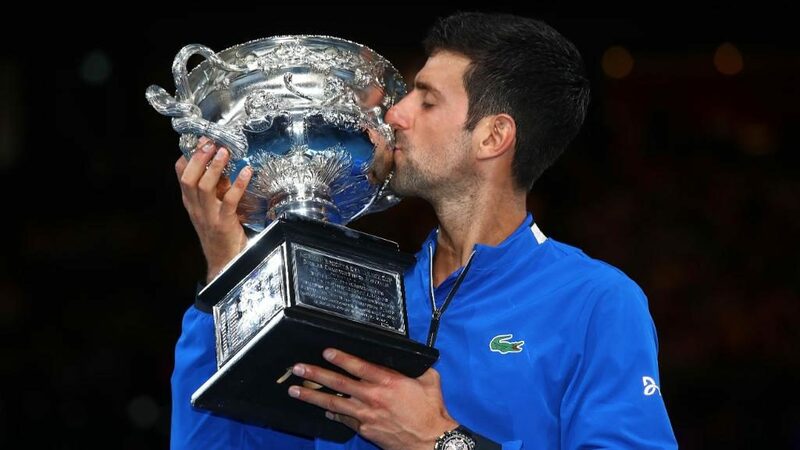 Novak Djokovic became the first man to win seven Australian Open titles after a dominating straight-sets victory over Rafael Nadal on Sunday. The world No 1 is in the form of his life and has won the last three Grand Slam titles. He has also extended his Grand Slam tally to 15, surpassing Roy Emerson and Pete Sampras. Having played the longest final in Open era history during their only previous meeting at the Australian Open, tussling for nearly six hours back in 2012, the top seed cruised to victory this time in just two hours, four minutes on Sunday. Djokovic threw Nadal completely off his game and took advantage of the many errors Nadal made in the first set. The Serb burst out to a 3-0 lead in the opening 10 minutes of the match as he won 13 of the opening 14 points. Nadal finally won his first game in the fourth, but Djokovic was magnificent on serve, losing only a single point on his way to taking the first 6-3. The second looked like a much tighter affair as Nadal and Djokovic both held serve in the first four games, but Nadal could not cope with the extended rallies, and Djokovic broke him twice in a row, winning four games on the bounce to take the second 6-2. Djokovic produced a masterclass of drop-shots in the third as he broke early and never looked back to cruise to his seventh title at the Rod Laver Arena.